Home » News » BO Trade Top5 » Midweek: ‘Ishkq In Paris’, ‘Hum Hai Raahi CAR Ke’ are duds! Midweek: ‘Ishkq In Paris’, ‘Hum Hai Raahi CAR Ke’ are duds! Note:- The Hollywood biggie, FAST & FURIOUS 6, was the first choice of moviegoers this weekend. 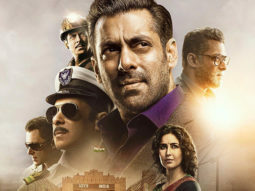 While the Sunday numbers are still being compiled, the Thursday [previews] to Saturday total stands at approx Rs 14.3 cr. Fantastic!